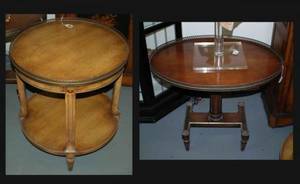 measures 30 T x 18 1/2 Dia. 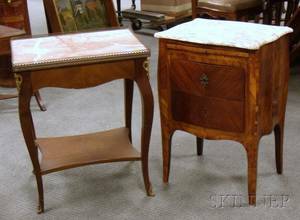 Small Louis XV Style Marble-top Veneer Three-Drawer Commode and a Marble-top Wooden Stand with Brass Gallery. 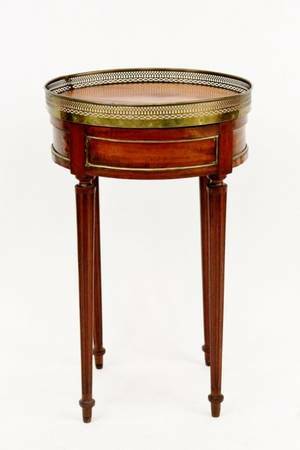 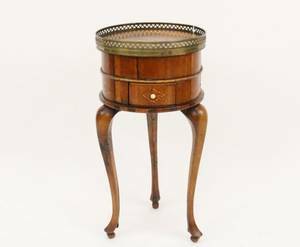 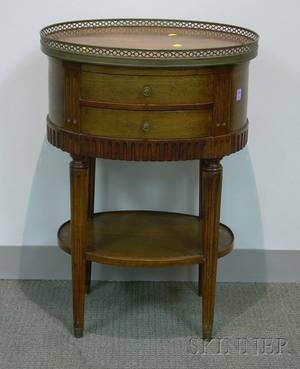 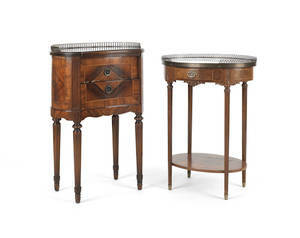 Louis XVI Style Oval Walnut Two-Drawer Stand with Brass Gallery. 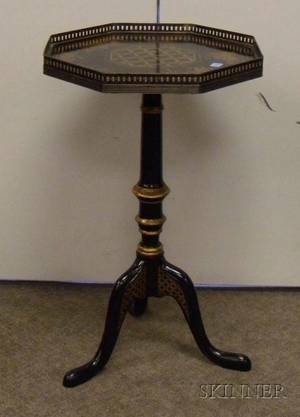 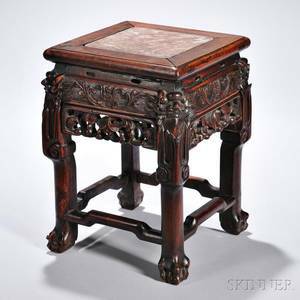 Theodore Alexander Octagonal-top Chinoiserie Decorated Stand with Brass Gallery. 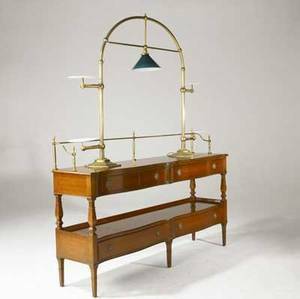 Victorian server mahogany with brass gallery and pull-out shelves, along with brass illuminated serving stand. 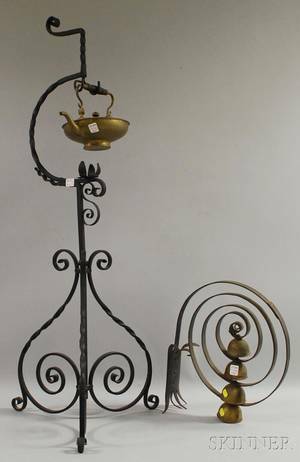 brass manufacturer"s tag. 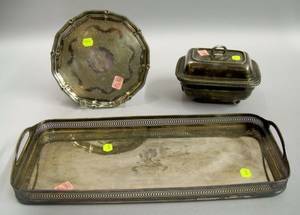 server: 43" x 66" x 16", stand: 47" x 59" x 11"
Silver Plated Lidded Sauce Tureen a Small Canape Tray with Pierced Gallery and a Footed Salver.